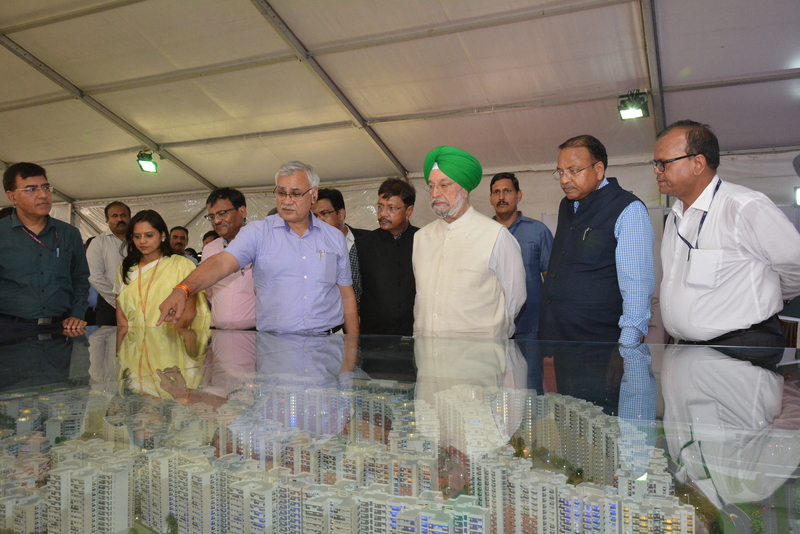 In a recent move, 210 flats of Type II were allotted for possession by Union Minister of State (Independent charge), Hardeep Singh Puri in presence of Secretary, Ministry of Housing and Urban Affairs, Durga Shanker Mishra and Chief Managing Director, NBCC, A K Mittal. The move came under the Government Pool Residential Accommodation (GPRA) redevelopment scheme at East Kidwai Nagar, New Delhi. An agency has been appointed by NBCC (India) Limited for this redevelopment project that had got approval in June 2012 from Union Cabinet. This project has been approached on Self –Revenue Generation Model and pander to essences like leasing of office spaces to government departments, public sector undertakings and public sector banks. The East Kidwai Nagar complex will be executed by NBCC for the next 30 years. With a total built-up area of 88,476 sq metres, the old colony supports 2,444 houses. The size of unit in the redevelopment project is much bigger, also the new flats come with several amenities like modular kitchen, cupboards and a balcony adjacent to each room. The plan is to build 4,608 houses on a total build up area of 5.31 lakh square metres.